Biking is the best way out to stay fit yet stylish as well. Biking as compared to other sports activities like running and gym is considered quite cool and the best activity to stay fit and healthy as well. 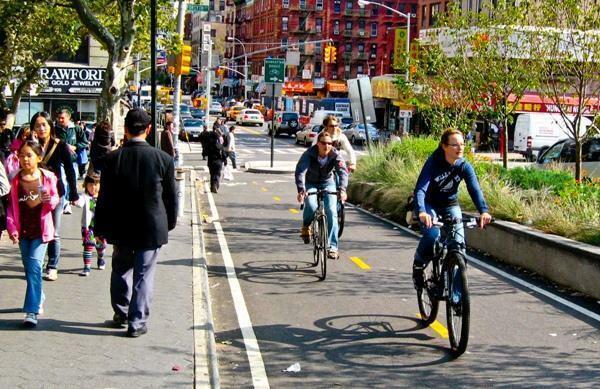 Nowadays, biking on long route trails has become a trend, especially amongst the young generation. This is mainly happening because of two main reasons, firstly people want to remain fit and secondly due to increased use of vehicles which in turn is cause heavy trafficking and thus resulting in pollution and poor management of the economy. Biking is also considered as one of the best ways to relax and enjoy yourself by going on long route trails and exploring the natural beauty of the beautiful trail especially if you on a vacation or a getaway. There are a lot many biking trails across the world but the trails having most beautiful backdrops or we can say the best scenic view are to be found in America and if you are planning your vacation to America with your friends or family, then you must hire a bike and explore some of the amazing biking trials that you may not have experienced ever before. These biking trails are quite a long distance and will actually make you sweat out but on the other hand, also give you a leisurely spin and the best adventurous ride ever. So, here we are providing you a list of the top Most Scenic Bike Trails across America that will surely blow away your mind. Do check them out. This amazing bike trail is suitable for almost all kinds of bikes and the trail covers a distance of around 8 miles which is not that long. The trail is called Riverwalk because it is situated right on the Ohio River which makes the trail look even more beautiful. 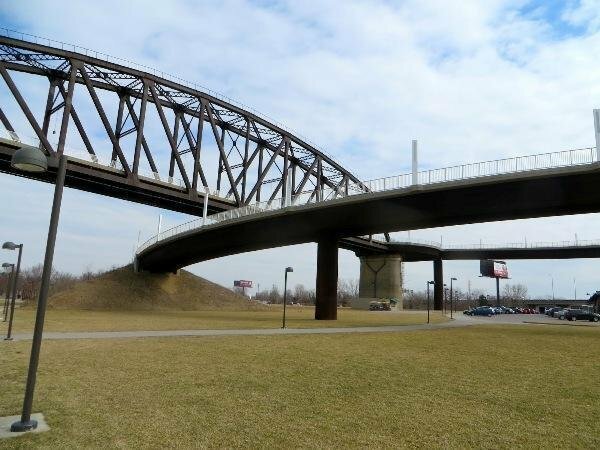 These Most Scenic Bike Trails across America covers the whole of Ohio and ends at the Louisville downtown and after the hectic bike rides, you can relish your favorite bourbon. The trail has a really amazing backdrop which will actually make your jaw drop and of course, your pictures will come out to be really cool. 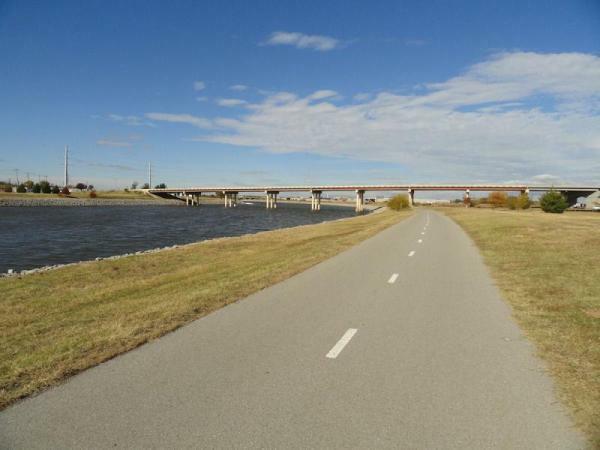 The trail is located in the Oklahoma City and covers a distance of 13 miles. The trail is extremely easy to cover as it is flat, paved and the trail remains free from traffic as well. It is suitable for all bike types and you can freely ride your bike at full speed with your helmets and aero bars on across the whole trail and admire the surroundings as well. These Most Scenic Bike Trails across America has an amazing scenic view and you will actually love the natural beauty and fresh air across the trail. This trail is quite a challenging one as initially, it is quite easy to cover but later on, it becomes a bit hard as you have to climb to one of the highest peaks of Mt. Washington situated in the northeast. 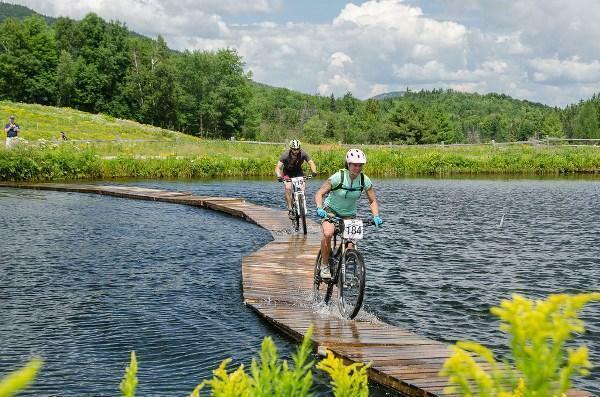 The trail is located in the Gorham, N.H. and is suitable for mountain bikes or comfort bikes depending upon your ride. As you reach the highest level you will get to view the beauty of Mother Nature where you can get yourself clicked as well. If you are planning your vacation at this place, then do rent a bike for a day and try a ride at the extremely amazing trail. 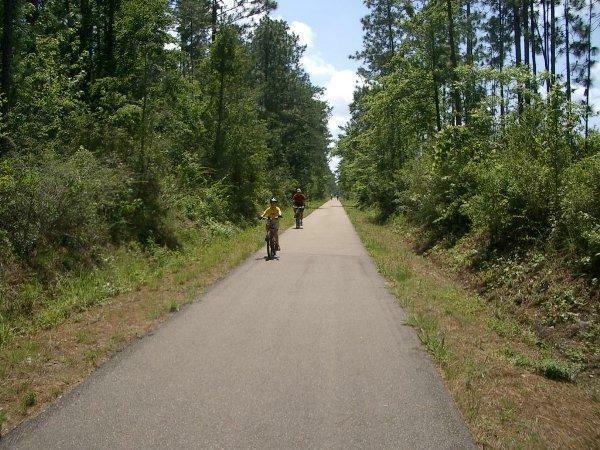 This 41 miles long biking trail is situated in Hattiesburg, Miss. It is suitable for almost all bike types and is also considered as the longest bike trail in the south-central states. The trail is smooth, paved surrounded by rural farmlands, wetlands and piney woods. The pine trees out here generally have long leaf and are plenty in number which is why the trail is called the Long Leaf Trace. Due to the extreme long distance of the trail, there are quite a lot of resting spots in between where you can take a beer or drink break and relax. This one covers a distance of just 11 miles which is not too long or which we can say can be easily covered on a bike. It is suitable for all kinds of bikes and is situated in the Wilmington, N.C. 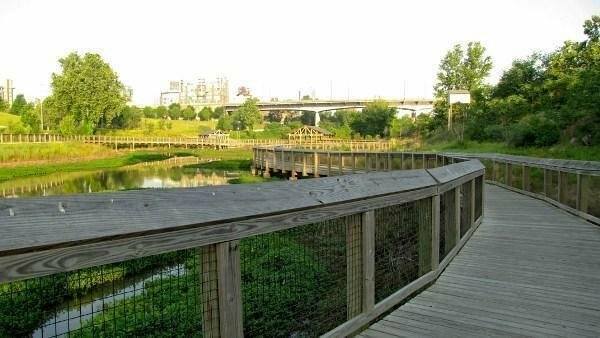 The scenic view of this bike trail is just breathtaking and the path is just like a trolley and connects Wilmington with the Wrightsville Beach. It is not basically a bike trail but a simple route and there is a lot of traffic on this track as well. The trail ends at the shore of the beach where you sit and relax. 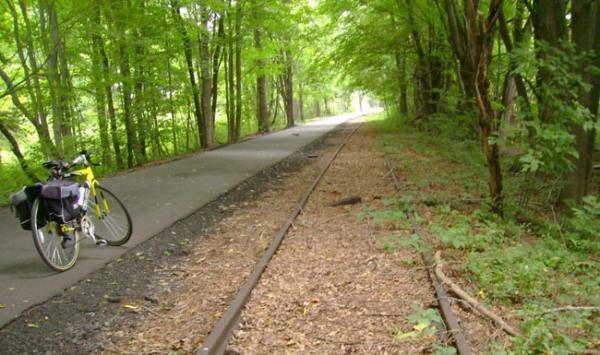 This amazing bike trail is located in Milford, Del and covers a distance of around 130 miles. The trail is basically has a road track and connects the cities of the Sussex Country. The trail is quite a comfortable one but you might face heavy traffic out here sometimes during the day. Apart from that, the trail is extremely adventurous with the amazing scenic view. You can visit the American Discovery Biking, Hiking and Riding Trail. This is basically a paved and Most Scenic Bike Trails across America which is suitable for almost all bike types and covers a distance of just 80 miles. The trail is vehicle free track and the journey begins from the Thomas Jefferson administration which is quite old and historical as well. The backdrop or the surrounding is just jaw dropping which comprises of lush green forest area and small towns where there is no shortage of food and drinks. 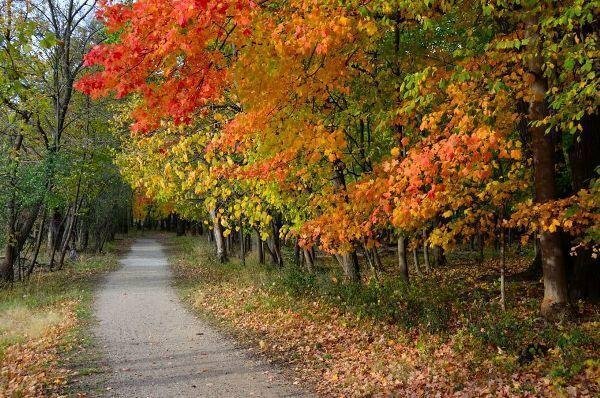 This one is a 50 miles long trail and is located in Garnett, Kan. The most of the track of the trail is flat and paved but you will also get to experience some rocky hills which are a mixture of crushed limestone and paved asphalt which is why you can only use either mountain bikes or hybrid bikes on this trail. The location of the trail is so admiring and beautiful that after your hectic bike ride, you can camp out and enjoy a family picnic out there. So, all in all, the route is extremely well-maintained. 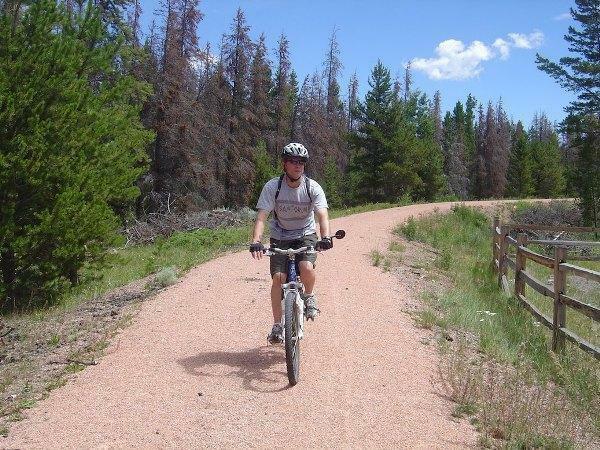 Situated near the Owen Lake in Wyoming, this trail due to its height is suitable for mountain bikes only and covers a distance of around 21 miles. The trail is quite accessible for the riders or tourists to reach as it is near to the Laramie airport. The ride can be a bit challenging due to the 9000 feet height of the mountains at the Medicine Bow which is quite high of course. As you reach the top most level, the view is just out of the world and don’t forget to get yourself click out there. This trail has an amazing view as it is situated just next to the East Bay. The blue water of the big bay travel along with you as you ride a bike as the trail is just 14.5 miles long located in Bristol. There are street vendors selling ice-cream and other street food alongside the trail where you can relax with an ice-cream cup. The trial all flat and paved and there are no signs of any kind of gravels or hills. 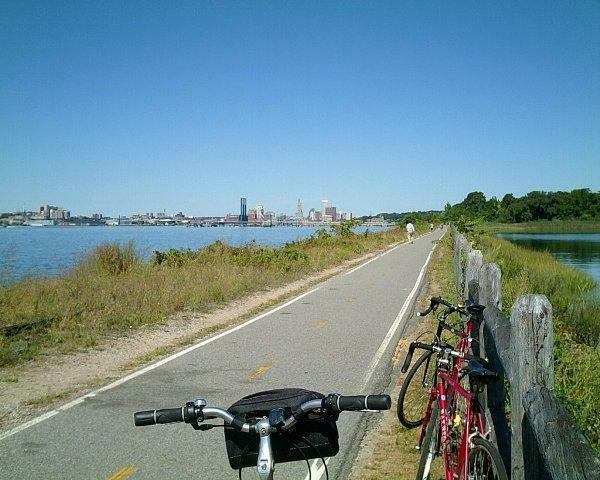 The East Bay form part of the Rhode Island, so if you are a water baby, then this trail which is suitable for all bike types is the best for you. 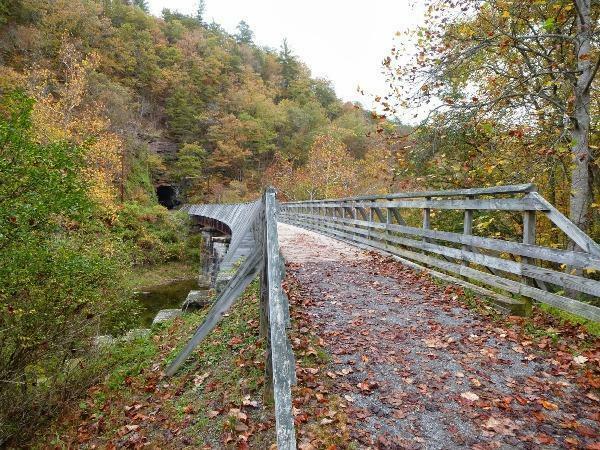 Located in the River Rock of Arkansas, this Most Scenic Bike Trails across America and extremely beautiful and is around 11.5 miles long approximately. This trail basically covers two extremely beautiful towns, one is the Little Rock and the other is Pinnacle Mountain State Park where you can even try your hand on mountain biking as well. It is said that this paved trail will be extended up t0 24 miles in the coming years which will cover the whole of the Arkansas River. This trail has a lot of bike as well as passenger bridges which are built above the Arkansas River. 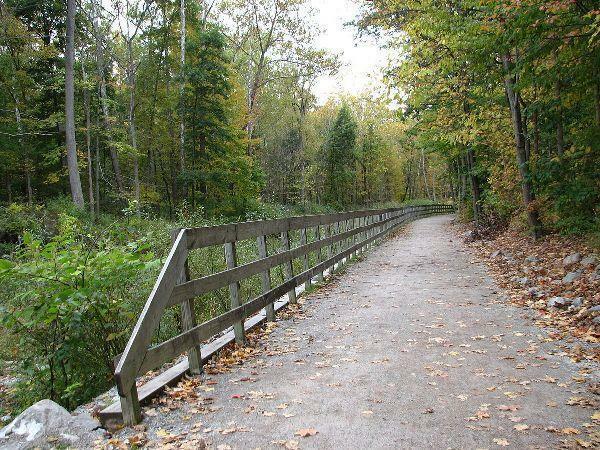 This extremely beautiful Most Scenic Bike Trails across America, situated in Cleveland, Ohio is quite a long trail as it covers a distance of around 262 miles and the authorities out there are still planning to expand the trail a bit more in the coming years. Suitable for mountain and hybrid bikes, this trail covers all the cities from Cincinnati to Cleveland. So, if you actually want to explore the natural beauty of Ohio, the best way to explore is to ride a bike instead of walking which will take quite a long time. If you are a beach lover and also love to ride bikes, then Cape Cod Rail Trail will offer you this two in one opportunity. 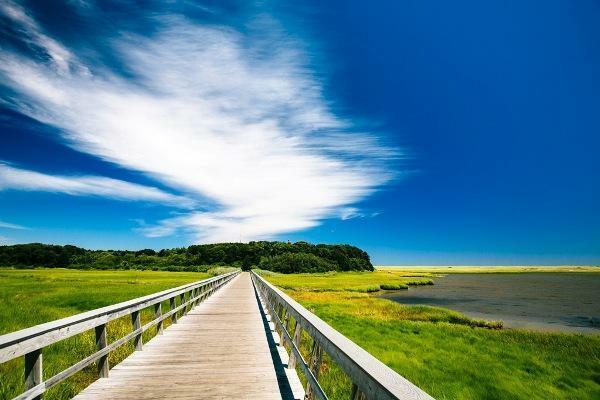 The trail is 28 miles long and covers the cities from Dennis to Wellfleet. As far as the track is concerned, it is extremely flat and paved. So, after a long dry land training on the track of Cape Cod, you can just sit and relax on the shore of the beach. This trail is situated near the Country Lake and is around 31miles long. 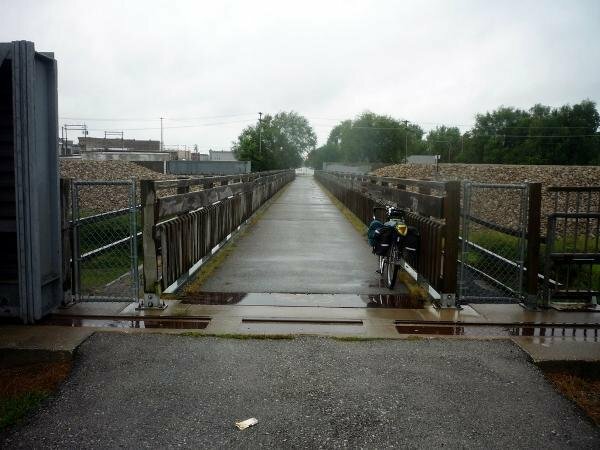 These Most Scenic Bike Trails across America mostly comprises of bridges and underpasses as it runs alongside the Des Plaines River and also covers around 13 forest preserves which are extremely lush green and dense. The track of the trail is not flat but a bit rocky comprising of crushed limestone. This trail suitable for mountain bikes is around 80 miles long and it is extremely easy to ride a bike on this trail as it is totally flat and paved which in turn will make your bike riding effortless. 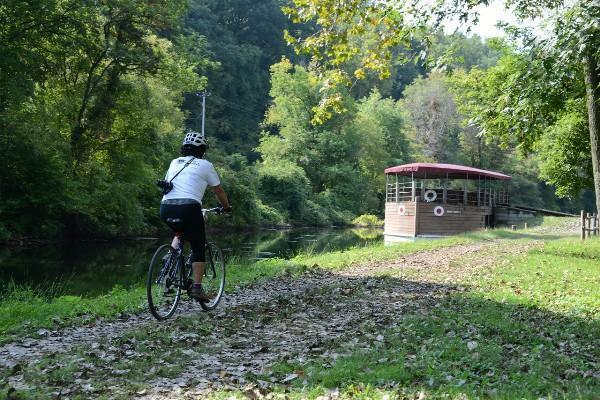 This Most Scenic Bike Trails across America has an amazing backdrop of the beautiful Greenbrier River where you can relax either for a swim or try to catch some variety of fish for your dinner. So, these are the 15 Most Scenic Bike Trails across America that you must explore once in your lifetime.